Challenging market dynamics created by the NBN rollout and increasing mobile competition have impacted Telstra’s earnings and net profit for the 2018 financial year ending 30 June. Net profit after tax (NPAT) dipped 8.9 per cent to $3.5 billion while earnings before interest, tax, depreciation; and amortisation (EBITDA) decreased 5.9 per cent to $10.1 billion in FY18. Telstra CEO, Andrew Penn, said the continued downward pressure on EBITDA and NPAT was caused by the further rollout of the National Broadband Network (NBN) and lower average revenue per user (ARPU), further reinforcing the importance of the T22 strategy. Penn pointed out that Telstra had absorbed about $1.4 billion of the annual approximate $3 billion recurring EBITDA impact of the NBN and this was reflected in the decline of 34.6 per cent in Fixed EBITDA (excluding NBN cost to connect). “The flow on impacts to mobile competition, especially the downward pressure on mobile ARPU, was reflected by the decline of 6.3 per cent in Mobile EBITDA,” he said. Penn expects challenging trading conditions will continue into the 2019 financial year (FY19) with further ongoing pressure on ARPU and the negative impact the NBN rollout will have on its underlying earnings. Despite the figures, the telco said it saw strong subscriber growth, particularly in the second half of the financial year, adding 342,000 retail mobile customers; 88,000 retail fixed broadband customers and 135,000 retail bundles during FY18. NBN connections grew 770,000 to 1.94 million, making up a total market share (excluding satellite) of 51 per cent. Penn said while it is less than two months since it presented its new strategy, Telstra was well into the execution phase, building on the momentum provided by its $3 billion strategic investment into networks for the future and digitising the company. To date, $1.8 billion has been invested, including $1.5 billion in Networks for the Future in preparation for the launch of 5G, and $300 million has been spent on digitisation. Telstra switched on 5G technology in the Gold Coast, and expects to have more than 200 5G-capable sites live by the end of this year. 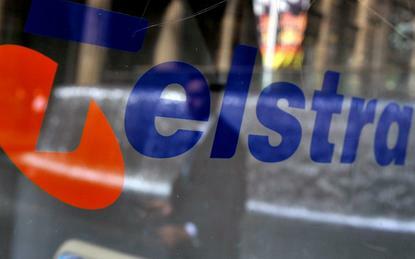 Telstra is also building a new digital stack for its consumer, small business and enterprise customers. “We have made significant progress in the development of the new core digital platforms with enterprise already moving customers to the new environment and consumer and small business to begin its migration in FY19,” Penn said. Further to this, Penn revealed it completed its first end-to-end fully digital NBN order with an online customer order being handled through to NBN Co without manual intervention. “As this scales in FY19, we expect to see a significant improvement in customer experience, both in the order process itself and the time taken to activate an order,” he said. For FY19, the telco expects income to be in the range of $26.5 to $28.4 billion and EBITDA (excluding restructuring costs) of $8.8 to $9.5 billion. Additional restructuring costs are expected to be around $600 million.